A group of radical Muslims have reportedly ended the life of a young man in India just because he is an atheist. 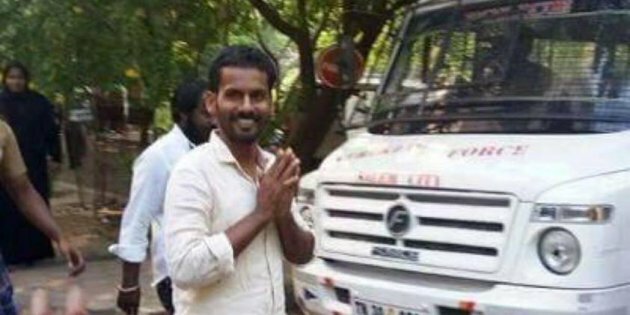 A young man, H Farook has been killed in India for being an atheist. According to IndianExpress, the father of the atheist who was murdered in Coimbatore 10 days ago, allegedly by members of a Muslim radical group, has said that if his son was killed for his views, he too would become an atheist. “A relative called me at around 12.10 that night. As I was told of the attack, I started weeping and asking for details. But I realised that the worst had happened when I was told to perform dua (prayers),” said Hameed. Hailing from a middle-class family in Bilal Estate at Ukkadam, a densely populated Muslim area on the outskirts of Coimbatore town, Farook was born and brought up in Chennai, where Hameed is still working as a caretaker of a private guest house. Farook’s wife Rasheeda, meanwhile, is yet to accept her husband’s killing; on Thursday evening, their two children were playing together inside their two-storey house in a congested neighbourhood in Ukkadam, unaware of what had happened to their father. Rasheeda’s brother Shajahan said what had devastated her was that Farook was killed by his friends. “Rasheeda could not believe that Munaf and Jaffer were behind it, names that were so familiar to her. She has not been having food properly for several days,” said Shajahan, who runs a a small software business at Coimbatore. “Having been brought up in Chennai, Farook had liberals view on religion. Many of his friends in Chennai were not Muslims and he was not following the religion strictly,” said Shajahan. Munaf was also part of the atheist WhatsApp group ‘Allahu Murdhath’ run by Farook. Jaffer, who befriended Farook recently to start a scrap business, later left following disagreements over religion and God. According to police, clues from Farook’s mobile phone, which was found at the murder spot, led to the arrests. Munaf called Farook out from home, at around 11.20 pm, on the night of the murder, they said. “Before the murder, there were three outgoing calls from Farook’s phone to the same number,” an officer said. Police also found the owner of Farook’s SIM card, Sajuddin, who lives the life of a fakir, visiting shops carrying camphor lanterns. A resident of Walajapet near Vellore, about 400 km from Coimbatore, police traced Sajuddin to his native home in Vellore on the night of murder. “He revealed that he had given his photo and ID card to one of the accused Ansath, a small-time real estate agent in Podanur near Coimbatore, for a loan that he was promised by a relative. By when our team landed at Ansath’s house on the outskirts of Coimbatore city, he had gone missing. He surrendered at a local court in Coimbatore,” said the officer. According to police, Ansath used the photo and IDs of Sajuddin to obtain a new SIM card and gave it to Saddam Hussein, another accused. “Most of the accused returned to the murder spot after fleeing initially. Munaf and Jaffer were there and later at the hospital, too. It was Munaf who informed Farook’s friends about the murder. He was also questioned by police at the murder spot,” said a senior officer. Police have claimed that the accused were part of a self-radicalised group and had taken a vow to eliminate those who challenge their religion and faith. But relatives and close friends of Farook claim that the accused had a criminal background and were not regular at prayers. “I do not wish to see this as a black-and-white case. Either they acted as hired killers for some other group or were absorbed by radical Islam groups for this crime. The idea of them being radicals does not match their lifestyle. Munaf was not attending prayers at the mosque for almost three months,” said a relative of Farook, who requested anonymity.